I’m a Tracy Chevalier fan. Since Girl with the Pearl Earring – one of my very first book club discussions – I’ve gladly picked up anything she’s written. I love the way she takes well-known art and constructs a narrative history around its creation. 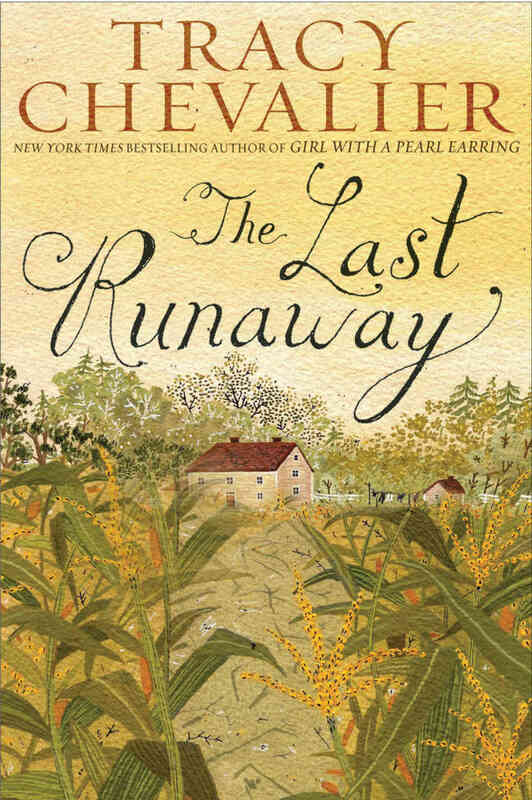 The Last Runaway Chevalier takes a bit of a diversion – her first novel set in the U.S. – and while she does weave art into the story, it doesn’t take the front seat. The primary focus of The Last Runaway is the underground railroad. 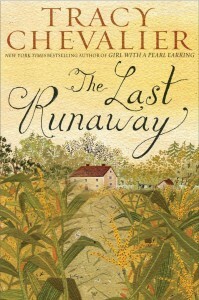 The main character of The Last Runaway is Honor Bright, a young Quaker who immigrates from England to America with her sister in order to escape a veil of embarrassment and rejection from being left at the alter. After suffering nearly intolerable sea-sickness in her travel and the almost immediate death of her sister, Honor finds her self in a strange new place with few friends and even fewer reasons to be there. Her one skill – and Chevalier’s nod to artistry – is quilting. Honor is quick, precise and creative, the latter not completely appreciated by the Quaker brethren. In the course of the narrative much is made of patterns and material, and some comparison between American and English styles of quilts. Her talent draws to her the attention of the one woman who becomes a true friend as well as the respect of another woman who eventually becomes her cohort and peer in the railroad. I rarely say a book isn’t long enough, but for this one, I think it is the case. While Chevalier gives early hints, the plot of the underground railroad doesn’t truly begin until about half way through, and so I would have liked for her to expand that part. Also, for me Honor was not as engaging a character as some of Chavalier’s previous women. Again, it isn’t until about the last third of the book that she became really interesting to me. In short, while this isn’t her best, fans of Chevalier will find this one quick, easy and worth the read. *The Last Runaway is available January 8, 2013. I was provided an advance copy of the novel by her publicist to read for review.